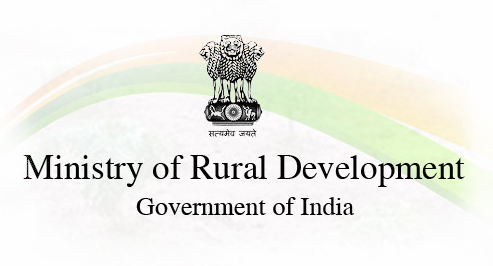 National Rural Livelihood Mission/Aajeevika has been subsumed into Deen Dayal Antyodaya Yojana (DAY). The Scheme is assisted by investment from World Bank. It aims at creating efficient and effective institutional platforms of the rural poor, enablingthem to increase household income through sustainable livelihood enhancements andimproved access to financial services. Universal Social Mobilisation – At least one woman member from each identified rural poor household is to be brought under the Self Help Group (SHG) network. Participatory identification of Poor – Target Group is identified through the ParticipatoryIdentification of Poor (PIP) method and it is delinked from BPL. The responsibility ofidentification of poor must be vetted by the Gram Sabha and approved by the GramPanchayat. Community Funds as Resources – NRLM provides Revolving Fund (RF) and CommunityInvestment Fund (CIF) as resources in perpetuity to the institutions of the poor tostrengthen their institutional and financial management capacity. Financial Inclusion – It promotes financial literacy among the poor. Livelihoods – It also promotes existing livelihood portfolio of the poor through its 3 pillars- ‘Vulnerability reduction and livelihoods enhancement’, ‘employment’ and ‘enterprises’. DDU-GKY is tasked with the dual objectives of adding diversity to the incomes of ruralpoor families and caters to the career aspirations of rural youth. It aims at transforming rural poor youth into an economically independent and globallyrelevant workforce. It focused on rural youth between the ages of 15 and 35 years from poor families. Himayat:A special scheme for the youth (rural & urban) of Jammu & Kashmir. Roshni: A special initiative for the rural youth of poor families in 27 Left-wingExtremist (LWE) districts across 9 states. SVEP is aimed at creating an ecosystem for rural population to be able start their ownenterprises for sustainable livelihood. To be launched on the lines of the DDU-GKY to generate livelihood through selfemployment. It replaces Indira AwasYojana (IAY), which was launched as a sub scheme of JawaharRozgarYojana in 1985. IAY aims at helping rural people below the poverty-line (BPL) in construction of dwelling units and upgradation of existing unserviceable kutcha houses by providing assistancein the form of full grant. Beneficiaries are people belonging to SCs/STs, freed bonded labourers and non-SC/STcategories, widows or next-of-kin of defence personnel killed in action, ex-servicemen andretired members of the paramilitary forces, Disabled persons and Minorities. Government to construct 1 crorepucca (permanent) houses for the rural poor in the nextthree years. The project will be implemented in a span of three years and expected to boost job creationin rural areas. The unit size will be enhanced from the existing 20 sq. meters to up to 25 sq. Metersincludinga dedicated area for hygienic cooking. Funds will be transferred electronically directly to the account of the beneficiary. The beneficiary would be facilitated to avail loan of up to Rs.70,000 for construction ofthe house which is optional. NRuM is also called as Shyama Prasad MukharjeeRurban mission and aimed atstrengthening rural areas by provisioning of economic, social and physical infrastructurefacilities. The objective is to stimulate local economic development, enhance basic services, andcreate well planned Rurban clusters i.e Smart Villages. Smart village is an area which possesses the economic characteristics and lifestyles ofan urban area while retaining its essential rural area features. It follows cluster based approach and the State Governments would identify ‘geographically contiguous Gram Panchayats with a population of about 25000 to 50000 in plain andcoastal areas and a population of 5000 to 15000 in desert, hilly or tribal areas. These clusters would be developed by provisioning of economic activities, developing skills& local entrepreneurship and providing infrastructure amenities. It provides Skill development training, Digital literacy, mobile health unit, electronicdelivery of citizen centric services, e-gram connectivity, and public transport, inter villageroad connectivity etc. The funding will be through various schemes of the government through public –privatepartnerships. In addition to it, there will be critical gap funding of 30% of project cost as central Government share for clusters members volunteer to do unskilled manual work. SAGY is a village development project under which each Member of Parliament will takethe responsibility of developing physical and institutional infrastructure and improve thestandard of living in three villages by 2019. LokSabha MP chooses these villages from the constituency he represents and the RajyaSabha MP chooses it from the state he represents. Thereafter, five such Adarsh Grams will be selected and developed by 2024. Gram Panchayat would be the basic unit for development. The scheme requires MP to draft a village development plan, identify gaps in funding andmobilizing MPLAD funds to create additional resources specifically from CSR initiativesof various corporate houses, in areas of sanitation and water supply. District Collectors will carry ground-level surveys along with monthly review meetings tomonitor progress. At the State-level, Chief Secretaries will head empowered committee on the same andthe Minister for Rural Development and Secretary, Rural Development, will chair twonational-level committees to track the scheme. It is a social security and welfare programme to provide support to aged persons, widows,disabled persons and bereaved families on death of primary bread winner, belonging tobelow poverty line households. Under NSAP 100% Central Assistance is extended to the States/UTs to provide thebenefits in accordance with the norms, guidelines and conditions laid down by the CentralGovernment. Neeranchal is a World Bank assisted National Watershed Management Project. Neeranchal is designed to further strengthen and provide technical assistance to theWatershed Component of PMKSY (PradhanMantriKrishiSinchayeeYojana). The scheme is under the Ministry of Rural development and Department of Food and Public Distribution allocates food grains as per the requirements of Ministry of Rural Development. Senior citizens of 65 years of age or above who are not getting pension under the National Old Age Pension Scheme (NOAPS) are provided 10 kg of food grains per person per month free of cost.